The gun prohibition lobby appears to be all smiles with the election of pro-gun-control Democrats who will take over the U.S. House of Representatives in January, according to the Washington Examiner, and one of the nation’s leading firearms industry observers just suggested that there is trouble on the horizon for the Second Amendment. There may be no better time for grassroots rights activists to be circling the wagons and either renewing their memberships or upping their financial support for the National Rifle Association, Second Amendment Foundation, Citizens Committee for the Right to Keep and Bear Arms or other gun rights organizations they prefer. But wait. Pelosi’s home state of California has what gun prohibitionists consider “common sense background checks” already on the books, but that didn’t prevent the Thousand Oaks murderer from legally purchasing the pistol used in that mass shooting, nor did the strict gun laws prevent the Isla Vista spree killer from legally purchasing three handguns he used to murder three of his six victims—the other three were stabbed to death—four years ago. Has anyone in the Capitol Hill press corps bothered to challenge Pelosi on this discrepancy? The press would come unhinged if Congress suddenly decided to treat the First Amendment like it treats the Second, according to rights activists who have watched the Second Amendment’s erosion over the past 50 years, since passage of the Gun Control Act of 1968. 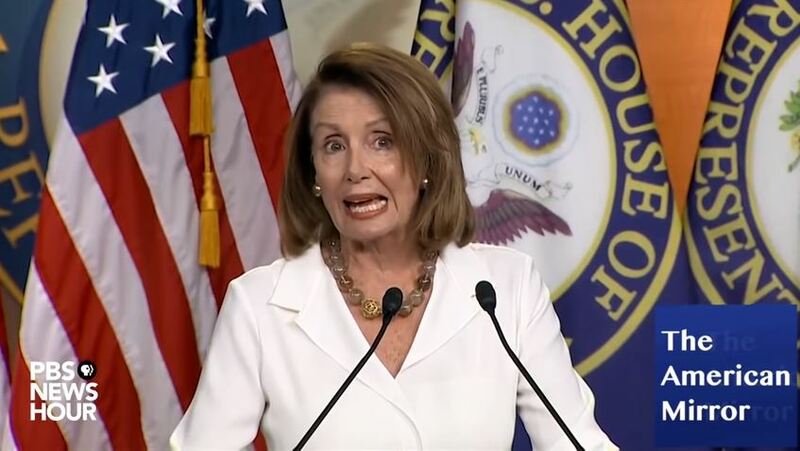 Perhaps it is Pelosi and her anti-gun Democrat colleagues who should be unhinged by finally having to answer the tough questions.